To better assist the transition, we recommend that students go over the City of Kingston’s Residential/Student page. This site will be your go-to-guide when finding your new bus schedules, garbage/recycling schedules, and overnight street parking restrictions. 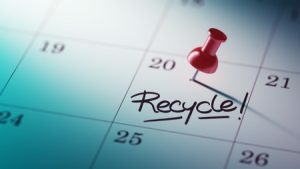 When renting a new property, it is important to know when and what items can be thrown away. The City of Kingston provides a detailed list of schedules, guidelines, and reminders for proper disposal of waste. Also, never forget to put out garbage again with the city’s Collection Reminder program. The city offers an on-street parking program that allows residents to park outside of their place of residence. Some of the parking spots have time restrictions during the weekdays, typically preventing parking for an hour in the morning and evening. Until next time, keep warm and stay safe during the city’s winter months.